Points2Shop Forums » Creative Works » my new hobby!! I've taken up a new hobby while I've been away and have started sewing! 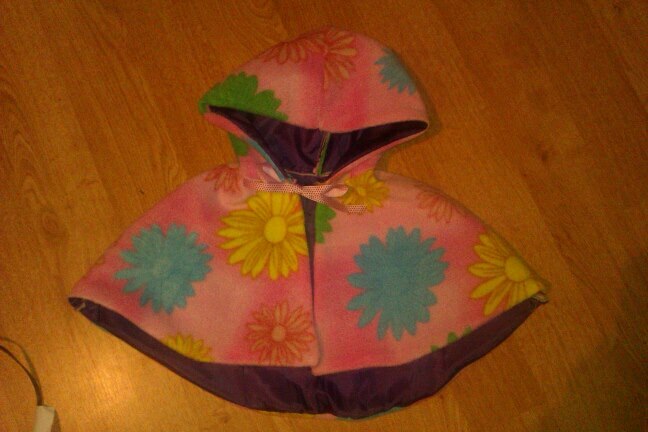 My first project was this gorgeous little caplet for my daughter! That is easily one of the cutest things I've seen in a long time. Great work! I'm making a bustle skirt with pink petticoat for her atm, will upload pics when I finish!! Good first project. When I was a begginer at sewing I made a bunch of doll clothes to practice.